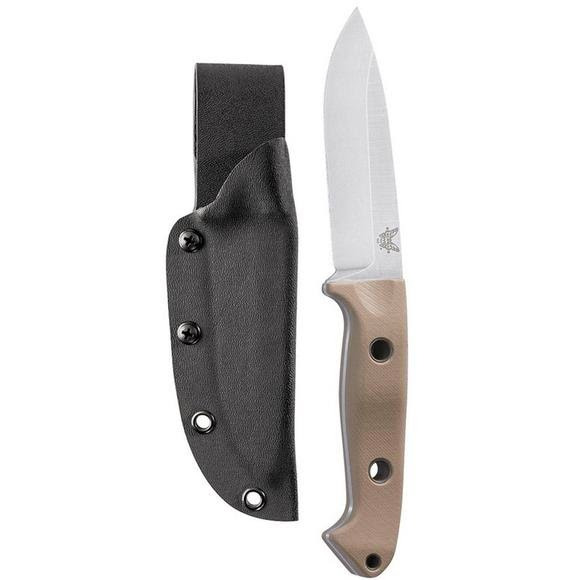 Originally a pure survival knife, the world's foremost explosive ordnance technicians saw the value in this Benchmade Knives tool also as a knife for cutting plastic explosives and helped to modify the design to suit their needs. Made in USA. Originally a pure survival knife, the world&apos;s foremost explosive ordnance technicians saw the value in this Benchmade Knives tool also as a knife for cutting plastic explosives and helped to modify the design to suit their needs. Made in USA.